As you enter this home you will be taken aback by the beauty and luxurious details this home has to offer with it's much desired open floor plan! 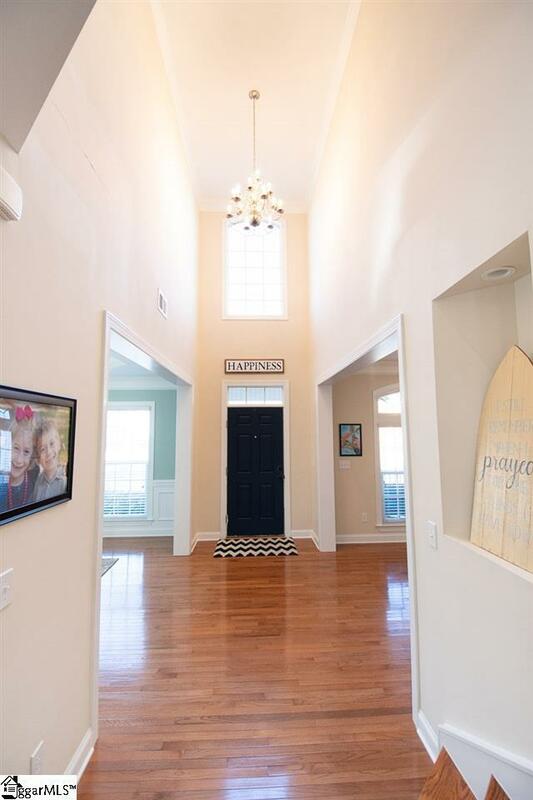 You will find yourself in the stunning 2 story foyer with hardwoods and beautiful architectural details. The office/formal living space features triple windows, a lighted ceiling fan, and heavy crown molding. 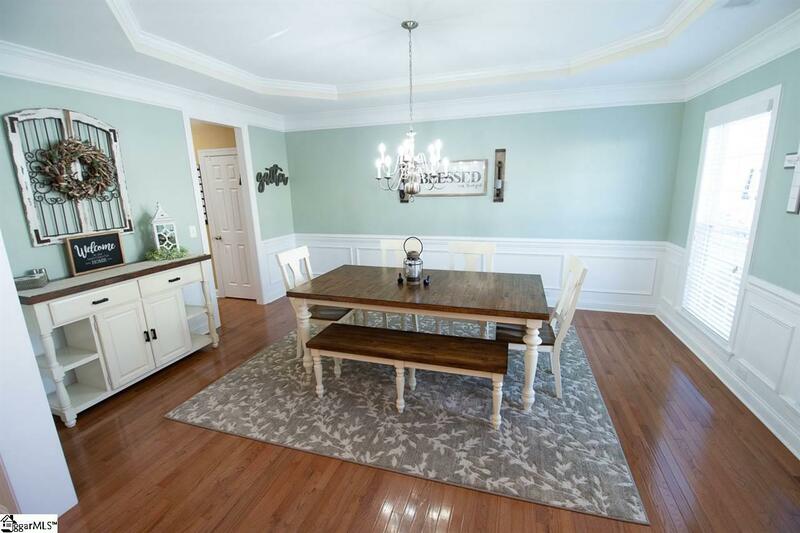 The formal dining room shows the exquisite style with it's trey ceiling crowns and gorgeous chandelier. A doorway leads straight into the kitchen with smudge proof, slate GE appliances. This chefs dream also includes under cabinet lighting, tile back splash, granite counter tops, plenty of cabinetry and 2 closet pantries. The natural light field breakfast room features bay windows with a newly added seat. This leads into the sun room which is perfect for that morning cup of coffee. The great room, with it's beautiful vaulted ceiling, let's family and friends have uninterrupted connection with all in kitchen and breakfast and sun rooms. The room features recessed lighting and a gas fireplace. The main level Master Suite which includes a trey ceiling, his and her walk-in closets, his and her vanities, a corner soaking tub and glass incased walk in shower. Upstairs you find 3 spacious bedrooms with one having a private bath and the other 2 sharing a full bath. The big bonus/rec room gives many options for the home owner from addition family room, media room or pool table and its big enough for all. Enjoy the beautiful days in your rocking chair covered front porch, complete with ceiling fan to catch the breeze and looking over your lush yard with its full yard in ground sprinkler system. The backyard features the newly rebuilt pergola and trex deck overlooking the lush aluminum fenced yard great for entertaining or kids playing. 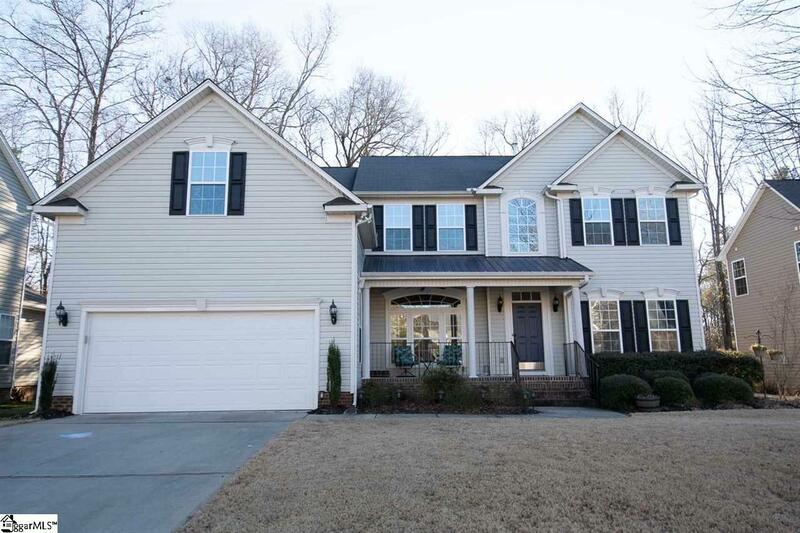 This home is packed with many features and upgrades and a must see. A home warranty and termite bond will transfer. The subdivision has many great amenities including a clubhouse with pool and is located near entertainment, dining and shopping. Dont miss seeing this one it will be gone fast. 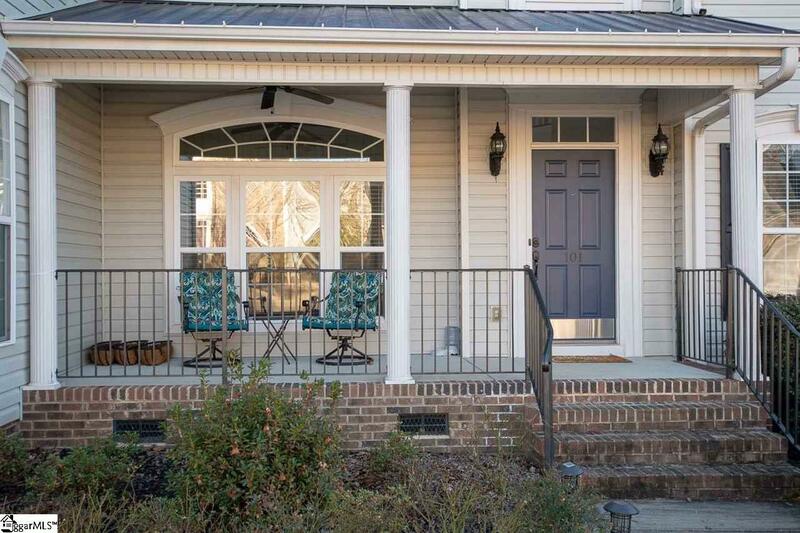 Listing provided courtesy of Daniel Wright of Bhhs C Dan Joyner - Simp.